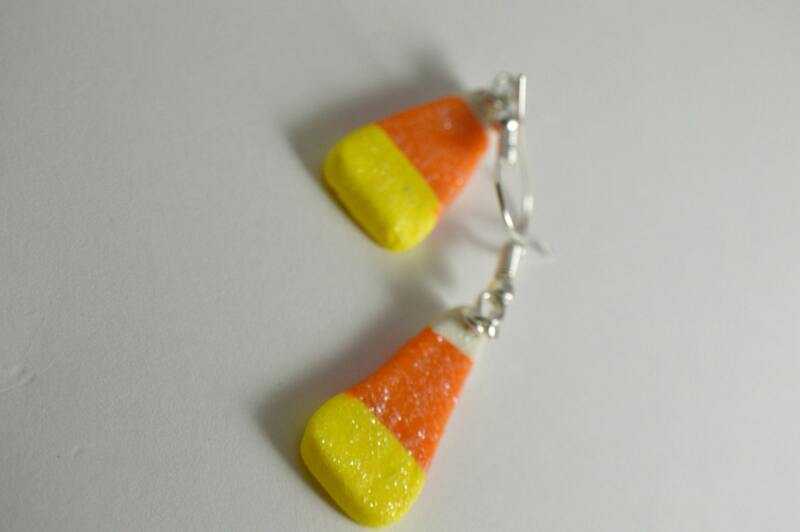 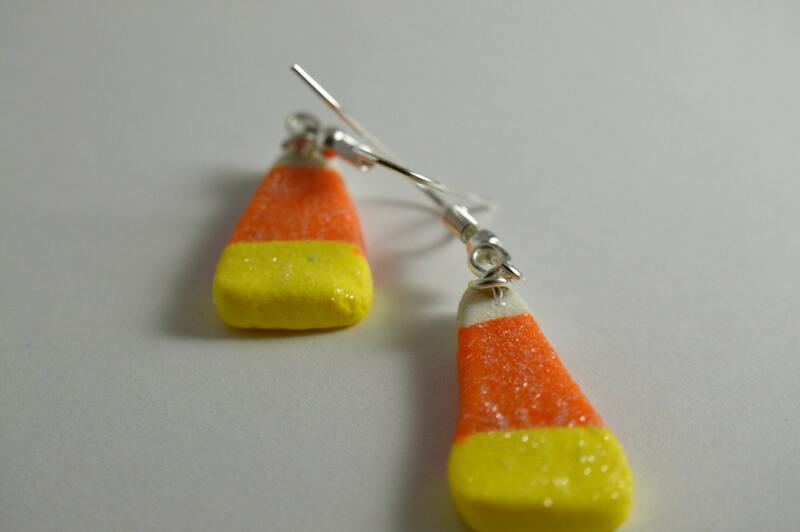 Handmade Polymer clay candy corn earrings. . All items are hand made with care. 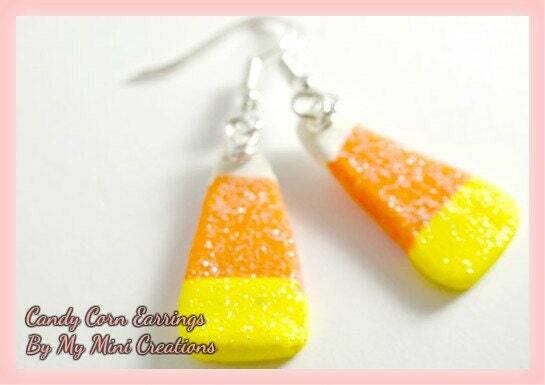 So cute and sparkly! 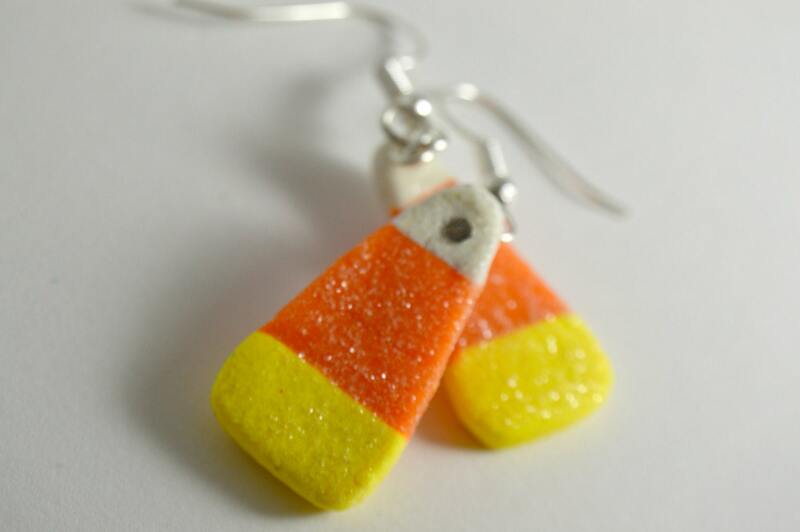 They match perfectly with a candy corn Halloween tshirt I have. 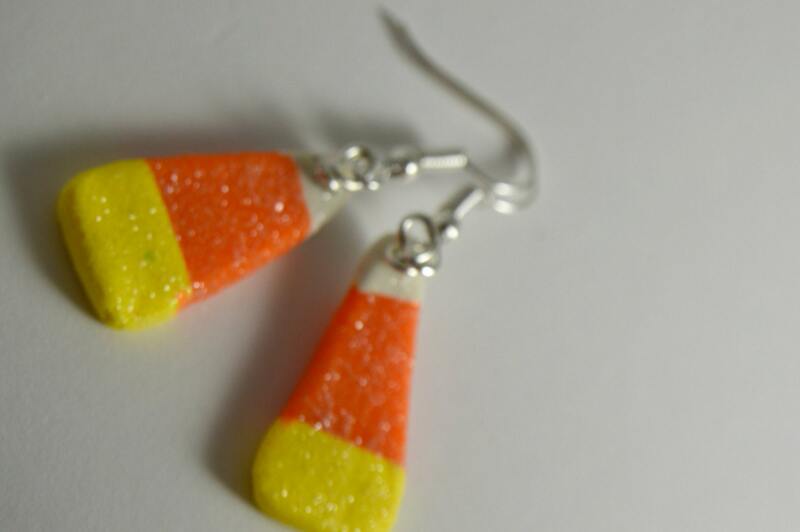 Quick delivery and I'm very happy!